Multiple Grammy and BMI award-winning songwriter and producer, David Hodges, has signed an exclusive worldwide agreement with Kobalt Music Group to administer all new and forthcoming works via his publishing company, 3 Weddings Music. 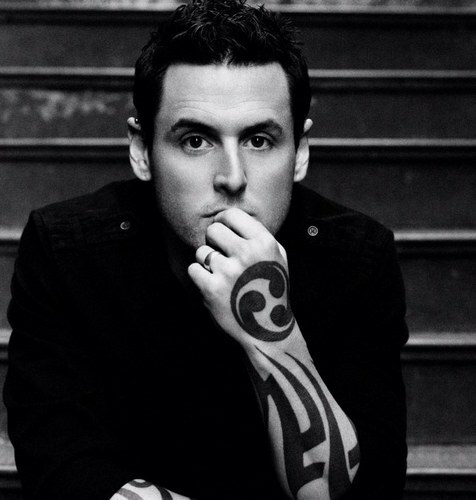 Formerly a member of the band Evanescence, Hodges co-wrote its worldwide hits “Bring Me to Life” and “My Immortal.” He has won several BMI Pop Awards, which include awards for his No. 1 singles “Because Of You” by Kelly Clarkson, “Crush” by David Archuleta, and “What About Now” by Daughtry, among others. His songs have also been recorded by major artists such as Celine Dion, Backstreet Boys, Carrie Underwood, Christina Perri, Train and David Cook. Hodges is currently collaborating with Avril Lavigne, Natasha Bedingfield, Sara Evans, and Christina Perri for their new albums. As an active film and TV composer, Hodges most recently penned end title, “Thousand Years,” for The Twilight Saga: Breaking Dawn, as well as the title song, “There’s a Place for Us,” for The Chronicles Of Narnia, which garnered him a Golden Globe nomination for Best Song. In more Kobalt news, the company plans to invest up to 100 million USD in the next 12 months in music royalties. Willard Ahdritz, CEO and Founder of Kobalt Music Group, explained, “In order to respond to existing and new clients’ needs for bigger advances, or part or whole acquisitions, Kobalt formed an investment advisory company in 2011 which now has substantial capital resources backed by blue chip family office and other institutional investors.” Kobalt has already made a number of investments with more to follow. The company manages more than 300,000 copyrights worldwide on behalf of over 1000 content holders.